In our Merrymakers journals, we feature classic characters from children’s literature drawn by artist Tim Bowers in a style that people of all ages can enjoy. 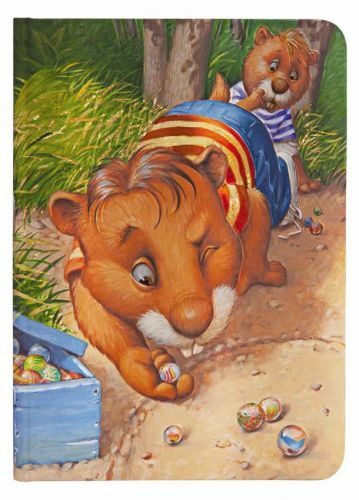 Bowers has illustrated over thirty-five children’s books, and his sunny art has been published in magazines and used for greeting cards and small wonders of all kinds. With his bold and timeless use of colour and line, he captures perfectly the charm of iconic characters from folk and fairy tales. The artist was educated at the Columbus College of Art and Design in Ohio and influenced by many of the most celebrated children’s book illustrators. His work is notable for its humour, craftsmanship and deep respect for the story. Indeed, the tagline for Tim Bowers’ work is “Creating art for the story.” A long and successful career has led to multiple New York Times–bestselling collaborations with a host of fascinating people. Tim Bowers’ art has found a place in countless hearts. One is never too old or too young to enjoy playtime and the company of legendary characters.